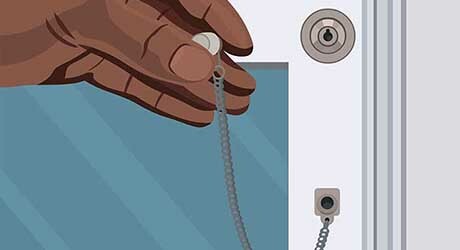 To delay and ideally deter thieves, upgrade your standard window and patio door latches to window lock systems featuring theft-deterrent technology. 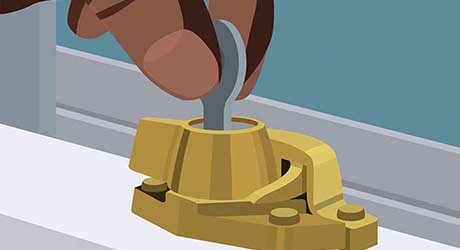 This guide shows you how to secure sliding and double-hung windows using a variety of window locks. 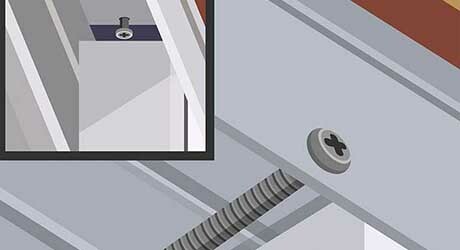 Casement windows can be closed with a door-bolt-like device that operates with a key. Screw the lock to the window and slide the bolt into the metal cup that mounts to the window sill. 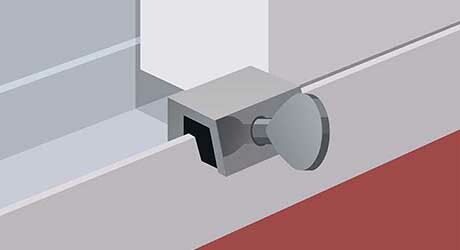 Drive a screw into the top of the upper track to keep thieves from lifting a gliding window out of its track. To keep the window from sliding, drive a screw horizontally through the track. Several companies make locks for sliding windows. For this lock, a stop slips over the window track. Turn the lever one way to lock the window, and turn it the other way to allow it to slide. 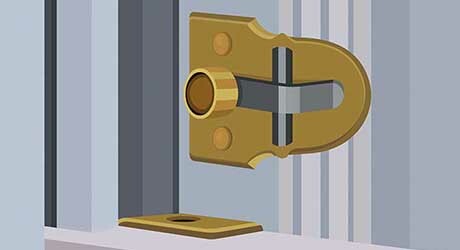 Other locks use a thumbscrew instead of a lever. A key track stop is a locking stop that you can attach anywhere on the track. You can position it to lock the window shut, or so that the window only opens a certain amount, enabling ventilation and safety. On double-hung windows, you can install a locking pin that goes through one sash and into the next to keep intruders from lifting the sash. 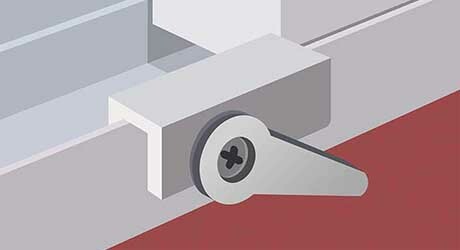 Some pins screw through a hole you drill, while others drive in and out with a special key. Ventilating locks screw to the side of the top sash an inch or so above the meeting rail. When the pin is positioned as shown, it allows you to open the window until the pin strikes a plate screwed to the other sash. Slide the pin around the corner and you can raise the window the full amount. A hinged wedge lock nails in the window track of a double-hung window. Choose a position for the wedge that lets you open the window enough to get fresh air. When the wedge is in place, the window will only rise as far as the wedge. When the wedge is swung out of the way, the window opens freely to any height. A keyed turnbuckle replaces the normal latch, so you’ll need a key to open the window. 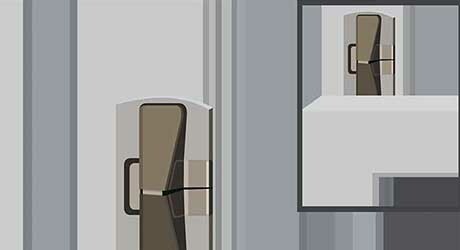 A child-safety latch also replaces the original latch. It’s similar to the childproof cap on a medicine container but easier to use. 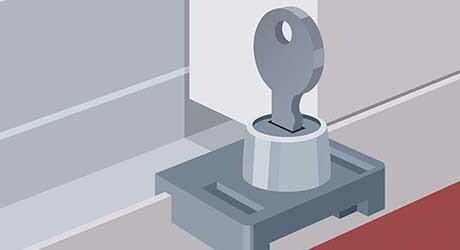 To open the window, a child has to be able to squeeze the lever while turning the latch.